Longtime U.S. Sen. John McCain of Arizona died Saturday of brain cancer. A memorial and burial is set for this weekend in Washington, D.C. and Annapolis, Maryland. The family of U.S. Sen. John McCain of Arizona, who died Saturday of brain cancer, has announced 15 pallbearers who will carry the Vietnam War hero's casket during a memorial service on Saturday at Washington National Cathedral. They include a Hollywood actor, a former vice president and a bipartisan group of politicians that includes former Pennsylvania Gov. Tom Ridge. 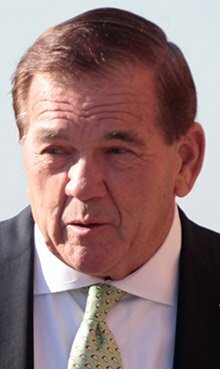 Tom Ridge is a former Pennsylvania governor and former homeland security director. In a statement after McCain's death, Ridge called the senator a "dear friend." "...What a privilege it has been to have such a friend as John. Has there been a more courageous patriot, who over the last half century was more widely respected globally or who was as fierce a proponent for American exceptionalism than John? 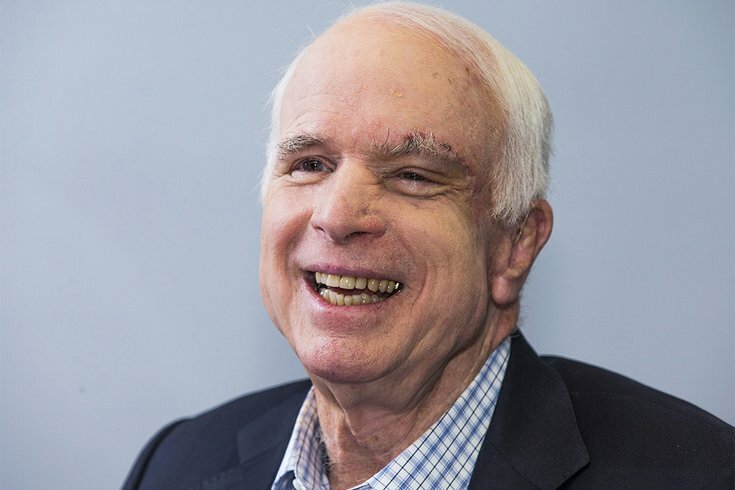 "America is a greater nation thanks to John McCain. His contributions and legacy will forever endure." Joining Ridge as pallbearers will be actor Warren Beatty, Vice President Joe Biden, former New York Mayor Michael Bloomberg, former Secretary of Defense William Cohen, businessman Stephen Dart, former McCain presidential campaign manager Richard Davis, fundraiser Carla Eudy, former Sen. Russ Feingold (D-Wis.), former Texas Sen. Phil Gramm, former Sen. Gary Hart (D-Colo.), Vice Chairman of Open Russia Vladimir Kara-Murza, McCain’s former chief of staff Mark Salter, fellow veteran and FedEx founder Fred Smith and Sen. Sheldon Whitehouse (D-R.I.). McCain, a 31-year U.S. senator, former presidential candidate and former U.S. Navy pilot who was shot down during the Vietnam War and held captive for more than five years, will be buried Sunday at the U.S. Naval Academy in Annapolis, Maryland. 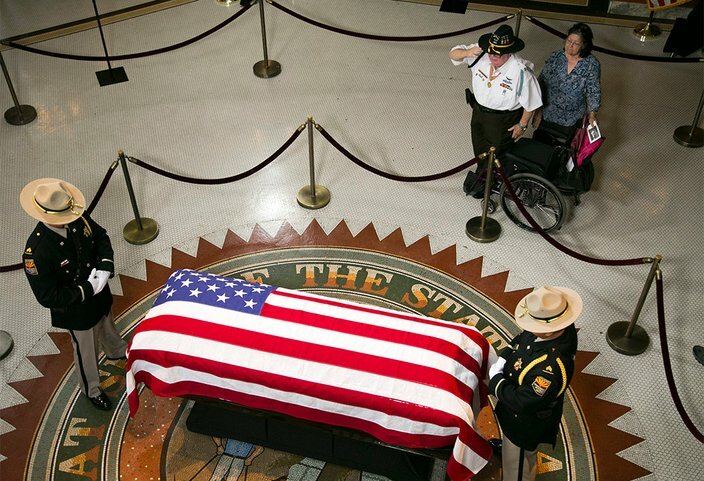 Antonio Chavez of Phoenix, and a U.S. Army veteran of the Vietnam War, salutes Sen. John McCain lying in state, next to his wife Maria Chavez, in the state capitol in Phoenix, on Wednesday, Aug 29, 2018. He would have celebrated his 82nd birthday on Wednesday.